China is now seeking legal relief from the tariffs imposed by the United States on over $200 billion worth of goods imported. China’s complaint with the World Trade Organization alleges that the imposition of the tariffs by the US is illegal and nothing more than thinly veiled attempts at protectionism. This WTO complaint is just the latest in heightening tensions over a trade war between the Chinese and American governments. According To NPR, the WTO complaint comes less than a week after the Trump administration published a preliminary list of more than 6,000 Chinese products that it wants to hit with an additional 10 percent duty. The list targets products worth a total of $200 billion, ranging from an expansive range of seafood and vegetables to stones, metals, and plywood. The latest round of U.S. tariffs were announced mere days after China retaliated for an even earlier onslaught of U.S. import taxes. Some of the tariffs were up to 25 percent on items worth approximately $50 billion. China’s subsequent retaliation which will surely ratchet up tensions in the escalating trade war is this recent WTO complaint against the U.S. The increasing trade tensions have already begun affecting the prices of raw materials such as paper and separate U.S. tariffs on aluminum and steel, which hit Canada, Mexico, and the EU, have led to higher prices on some products, NPR reported earlier this month. President Donald Trump and the U.S. Trade Representative’s Office have said the China tariffs are meant to force China to change its trade policies and do more to prevent the theft of U.S. technology and intellectual property. China blamed the low savings rate (which should be of a concern for consumers) of Americans for the trade imbalance, among other economic concerns. 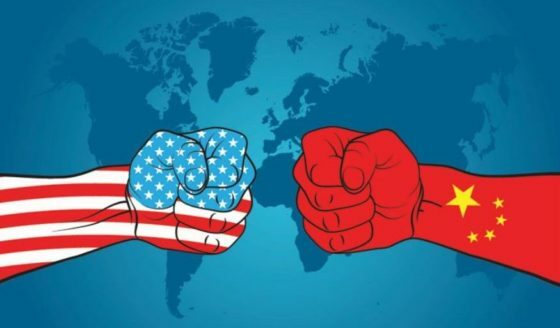 China has also stated that the government of the Asian nation does not necessarily want a trade war, but that they also are not afraid of one either. This article was posted in China, China files complaint, Consumer, Donald Trump, Financial Crisis, Headline News, Illegal, import taxes, legal relief, low savings rate, products, Protectionism, tariffs, Trade War, United States, World Trade Organization. Bookmark the permalink. Follow comments with the RSS feed for this post.Comments are closed, but you can leave a trackback: Trackback URL.